Today marks the release of the 2013 London Venues Business Report and overall, the conference and events industry is reporting positivity in the period following the London 2012 Olympic Games. Produced annually by The Westminster Collection (TWC), Unique Venues of London (UVL) and The Conference Bench, the new report collates the results of a survey into the performance of 110 tourist attractions, prestigious venues and renowned hotels across the capital. This year, for the first time, the committee producing the report also welcomed the addition of the London City Selection, with a number of this venu consortium’s member submitting performance data. – Venue optimism is high, with 94% of venues surveyed reportedly feeling positive about the future of the events market through 2013 and into 2014. Short lead times, smaller events and irregular booking patterns remain a concern, however. – There is a positive post-Olympics feel, with 94% of venues expressing optimism, although there is an increase in smaller or more intimate events booked. – Short lead times for large, medium and small events remain a trend,with events valued at more than £10,000 tending to be booked 5.7 months in advance, on average and events valued at £5,000 or less, 2.8 months in advance. – 63% of venues predict positive year-on-year revenue growth in 2013 versus 2012. – Weddings are an area of growth, with 58% of venues predicting seeing an average 17% increase in bookings for this type of event through 2013. Private events such as birthdays and anniversary events are also predicted to show growth. – The use of discounting as a sales tactic decreased in 2012, with just 18% of venues reporting to have won business by cutting room hire, catering or AV fees, compared with 35% having secured business as a result of discounting in 2011. Venues did indicate that 7.8% of their bookings could be attributed to offering flexibility in packages where minimum numbers normally apply. – Of the 57% of venues offering day delegate rates (DDRs), 61% of those allowed customer demand to influence their DDRs, with rates modified in response to high and low periods of demand. Discounts on venues’ highest average DDRs in 2012 averaged 30%. 40% of responding venues do not flex their prices in periods of high or low demand. – ‘Word of mouth’ was reported by 41% of venues to be their number one method for driving sales. Direct sales was rated second (21%) and online advertising was the third most successful sales method (17%). – Of the 84 venues using social media to promote their event spaces, 99% now use Twitter – in 2012, just 70% of venues were using it in this way. – 73% of the London venues surveyed plan to invest capital into their event spaces in 2013.Tourist venues are planning to make large investments in 2013, with 30% of the 78 tourist venues which plan to invest reporting budgeted spend in excess of £1 million. – 89% of responding venues offer delegates free WiFi within their events spaces and 80 of the venues questioned offer free WiFi in their public areas. 45% of venues indicated that they intend to upgrade their broadband capacity within the next 18 months. The 2013 London Venues Business Report is available for purchase, priced £95+VAT. Please contact lisa.hatswell@uniquevenuesoflondon.co.uk to order your copy. The effect of the London 2012 Olympic and Paralympic Games on the meetings and event industry can be evidenced in new data released today by The Conference Bench. A sample of 23 London hotels and venues, including several LOCOG designated hotels, posted £10.04 million in revenue (food and beverage and room hire revenue) between 27 July – 12 August 2012, compared to £1.9 million for the corresponding period in 2011 (29 July – 14 August 2011). This indicates a 434% increase year to year, demonstrating the Olympic Games period’s positive impact on the industry. Meeting space occupancy also jumped from 22% in 2011 to 52% over the Olympic Games period in 2012. To put this into perspective, during the busiest period of the entire year in 2011 (25 November – 11 December 2011), the same sample of venues posted just over £11.02 million in total revenue at an occupancy level of 60%. The occupancy difference between the busiest period in November 2011 and the Olympic Games period in 2012 indicates that only a few of the hotels surveyed enjoyed a stellar performance during the Olympic Games period, while the majority performed either to the same level or below that level in the comparable period of 2011 (July/August). The three weeks preceding and the three weeks following the Olympic Games indicate revenue performance and occupancy steadied to levels comparable with, yet still slightly above 2011. The Conference Bench is an internet based performance benchmarking tool designed to shine new light on the performance of your conference and event space against your market and direct competitor set. The service is active in several European markets, as well as in the Middle East, and it is free for participants to obtain market reports in return for daily data submission. Tell us about your move from RIBA to Banqueting House. What was your relationship with the venue prior to your move? I have known Lin Kennedy [incumbent Head of Events at Banqueting House] through the events industry for several years and have been keeping an eye on her role, as I knew she was due to retire in late 2012. It’s a role I have always been keen to pursue and was delighted to be approached by Portfolio International on behalf of Historic Royal Palaces. I jumped at the chance to interview for the role. What does this new role mean for you and your career, reflecting on your path up via Madame Tussauds? This is a big role, both in terms of the responsibilities for the existing daytime visitor attraction and events business at the Banqueting House, but also as I will be heavily involved in the development of the Banqueting House over the next few years and act as Head of Events for Historic Royal Palaces as a whole. However, I have been working towards this for some time. I started my venues/events career as Events Administrator at Madame Tussauds, left there four years later as Senior Event Manager, joined Somerset House in the same capacity and then got promoted to Head of Events. Three years on I took on the role of Head of Venues for the Royal Institute of British Architects and I am now ready to take on the prestigious (and challenging) role as Head of Banqueting House to consolidate my learnings in both visitor attractions and historic event spaces. I am looking forward to again working with some of London’s top event suppliers in another stunning building. What is it about the grandeur and setup of Banqueting House as an event venue that appeals to you? The history and heritage of the building is a huge draw as although renowned for its architecture, Banqueting House is probably most famous for the execution of King Charles I. The building is one of the first examples of the principles of Palladianism being applied to an English building and the original Peter Paul Rubens ceiling paintings provide a stunning backdrop for events and daytime visitors alike. 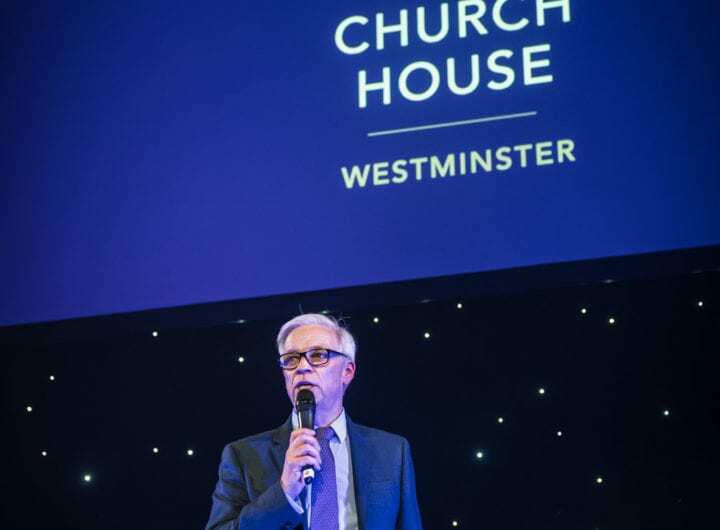 Banqueting House is surprisingly flexible, can host a variety of events and benefits from a large capacity and a wonderful location on Whitehall. Have you identified any immediate opportunities to reshape the event offering at Banqueting House? As part of the team that secured ‘Casa Brasil’ for Somerset House when you were Head of Events there, how do you now feel about the Olympic Games and what it has brought to London’s meetings and events industry? I was sad to not to be at Somerset House for the Casa Brasil residency, as the team worked so hard to secure the contract and fought off a lot of competition to do so! From my conversations with industry colleagues, there seems to be an element of relief that the Olympics are over, as whilst they have been a wonderful opportunity for a lot of suppliers and venues, they have also caused a lot of uncertainty. However, I think the overwhelming feeling is one of pride. We always knew we could deliver the ‘Greatest Show on Earth’ in the greatest city on Earth and now we have proved it! For you, what makes Westminster stand out as a destination for meetings and events? What changes have you seen in event buyer behaviour in your 12 years in the industry? Event buyers are much more ‘savvy’ and confident nowadays; they know there’s a lot of competition and how to negotiate for the best rates as a result. They are knowledgeable about the industry and how flexible venues and suppliers need to be to secure business. However, there no longer seems to be the buying ‘patterns’ and trends that we used to have and planning and forecasting are really challenging as a result. Social media: relationship building with prospects or idle chit-chat amongst strangers? Both! Idle chit-chat can build relationships and is much better than using social media solely for advertising and promotion. Who’s the person you’d most like to meet? Until recently it was Neil Armstrong. I would love to have met the first man on the moon and had a chance to speak to him about the adventure of it all. The trust he must have had in the NASA team to get him and the other astronauts safely into space, onto the moon and home again is incredible. Which industry figure do you most admire and why? Michael Aldridge, General Manager of Events for Merlin Entertainments. He has never been afraid to ask difficult questions, make difficult decisions, challenge ‘events myths’ and make the necessary changes to improve the business. Petra Bones sits on The Westminster Collection’s marketing committee, helping to steer the future direction and strategy of the venue consortium. The stage has been set and Westminster is alive and kicking like never before thanks to 2012 and all the domestic and global profile this year’s events have attracted. So far there’s little evidence of a shadow being cast over post-Olympics London when you hear that 45% of the capital’s venues have already forecast revenue increases of up to 30% from now through to December. The outlook was upbeat for conference and event venues, tourist attractions and hotels when we released our 2012 London Venues Business (LVB) Report. 30 member venues of The Westminster Collection confirmed that a collective £11.75m of bookings had already been contracted or forecasted to take place in Westminster over the Olympic Games period as of May 2012, when the original meetings and events survey was completed. With National Hospitality Houses of Italy, Qatar, Georgia, Japan and Slovakia and the London Media Centre amongst the role played by Westminster’s prestigious community of venues, there’s little doubt this figure can be inflated now. Three months before the Olympic Games officially began, more than half of all 100 London venues surveyed were already reporting direct commercial gains. Now’s the time to capitalise on that optimistic outlook and absorb the lessons we’ve learnt about world-class execution of events for global audiences. We were a culturally diverse city well able to service the needs of visitors from different countries long before the Games came to town. But now we’re even more aware of our responsibility to promote the unique quirks of Westminster as a destination for all sorts of events. It’s a place where decisions and policies are made, on the doorstep of exciting entertainment and iconic attractions. The LVB report shows that London venues have been quick to respond to buyer behaviour and demand for exceptional value for money, with offers of flexible pricing and free service add-ons creating healthy competition in the events market. As a borough, Westminster boasts a high concentration of unusual and unique meeting venues to offer choice and flexibility to the event buyer. Some are ornate buildings of historical significance and some set trends with their ultra-modern design. Business tourism is a dynamic sector that’s critical to the UK’s economy. Successful business is impossible without contacts, exchange of technologies and information, exhibitions and business trips so let’s keep the noise loud and retain the incredible momentum achieved in recent months. To purchase a copy of the full 2012 London Venues Business Report, priced £95, please call 01483 740747.